This is by far the most common problem with the original Wii. 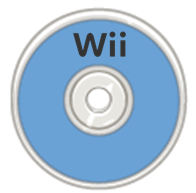 In this guide we’ll diagnose the error so you can get that Wii reading discs again. Let’s get started. *Credit to BlownUpGaming Nation for the disc cleaning tutorial. Once you’ve done that, try putting the game into the Wii again to see if the error goes away. Sometimes cleaning the disc is all you have to do. However, there is usually more to it than that. If only it were that easy! Chances are if you are reading this guide you have already tried this without success, so let’s move on. Put some other games in and see if your Wii will play them. 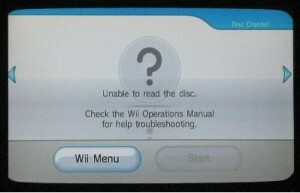 If the Wii will read other discs and games with no error, then you’ve discovered the problem! There is most likely nothing wrong with your console, and it’s the disc that’s causing all the grief . The disc giving you the error is most likely damaged, badly scratched, or has a defect and needs repaired or replaced. If you are still getting an error, or the error occurs with multiple games and discs, and you are sure the discs are clean and not damaged, move on to step 3. OK, after going through steps 1 and 2 we’ve discovered that it’s most likely not the disc causing the error. This means there has to be something wrong with the Wii console itself. The laser lens is the issue. At this point, the error is either occurring because the laser lens inside the Wii (the part of the Wii that actually reads the disc) is either dirty, or has failed. Before we go forward with step 3, it’s worth mentioning that the most common failure inside the Wii is the laser lens. Fixing this issue is usually not a matter of just cleaning the lens! The laser lens might just be dirty, but it is more likely that the laser lens has failed (or is failing) and has stopped working all together. We go over laser lens failure in step 4. With that in mind, if you would like to give it a shot and clean the laser lens you are going to want to make sure you do it right. Cleaning the laser lens can be difficult on the Wii since there is no direct access to the lens. Nintendo makes it easy to do this with their Wii Lens Cleaning Kit which you can get for about $15-$20. Just grab the kit, follow the instructions, insert a game and see if this fixes the problem. If it does, great! If not, move on to step 4. Don’t get your hopes up with this step, though. On most occasions you will end up doing step 4. We recommend only using the official Wii Lens Cleaning Kit. 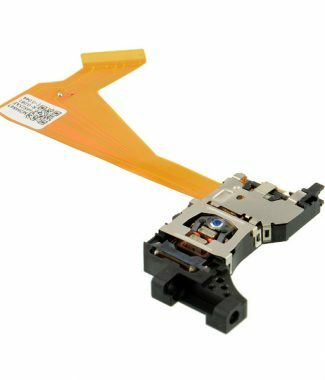 Other DIY methods have been known to damage the Wii laser lens further, so it’s better to use a kit that is specifically designed for it. Replacing the laser lens will fix most, if not all, read disc errors. Honestly, this is the only real solution to this problem. It has been our experience that the unable to read the disc error often shows up when the laser has stopped working all together. You can do all the cleaning you want but I am sorry to say that cleaning doesn’t fix a none-working laser lens. It seems that this can be an occasional problem at first. Eventually the laser will stop working completely, and when it does you will see this error on every game disc you try to play. Replacement is actually a pretty simple process. 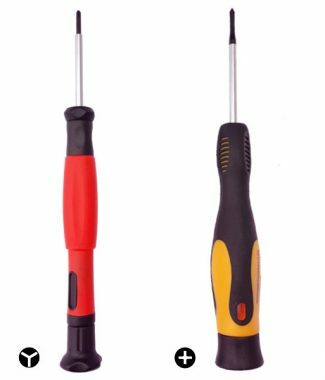 With a little bit of patience and the right tools, you can perform this fix yourself. 1-2 hours of your time. Take your time and don’t rush the repair. *Free Shipping is always included. As was stated earlier, we will go into detail on the replacement in a future post. For now, take your time and follow the above tutorial step by step and you should have no issues with your repair. Hopefully this guide was helpful and you are well on your way to fixing this pesky problem! This is doing the same to my wii sports disc. All other discs work. Only my Wii Fit plus disc can’t be read. I’m having that problem now ! Such a bummer. Did you ever figure it out and if so how ? I just fixed mine. super simple–I had the disc in backwards!!!! You can also try scratch out. It works very well. My 2 year old took a disc and decided to use it to slide across our wood floor with her foot on it like skis. It wouldn’t work of course, because of the deep scratches. I used scratch out and it worked! I just got a new Just Dance 2016. The system said it needed updating.. so I went with that. and for my region (USA). That disc works..
title screen comes up and then the error message that the disc cannot be read. I think we have the same problem. We will try replacing the lens, but I think it was the update that caused the incompatibility with our old games. As anyone ordered the part and do the fix yourself? All my games are working apart from wii sports and wii party… did anyone figure out the problem? No internet No Netflix.. What can I do? Help, it only does it for my Wii Fit disc, everything else works fine. And everything on my Wii fit works fine until I hit training then it says it not able to read it and that’s where all the activities are. Everyone is missing the obvious in the instruction book it shows a button battery CR3032 and how to change it, nowere in trouble shooting guide does it mention this. Ours gave message( unable to read disc) changed button battery it now works perfectly, I wonder how many had a expensive repair bill for this simple solution. What instruction book are you referring too? Everything I’ve seen on that points to Wii U not Wii. Im getting the error. My motor doesn’t even seem to be moving any the games. Discs go in but come right back out. Cause? Kadie. I have the same problem as you had described. I’m wondering what (if any) solution you found? I am trying to play Super Mario Bros on my Wii, and I am just continuing to get the unable to read disc error. It used to work every time. I lent it to my bro who returned it with some sort of gunk on the top of the disc. Ugh! So I cleaned it they way your video says to, but I’m still getting the error. The disc doesn’t look badly scratched or anything. And other games work fine…. What do I do?!?! Help! Wii Fit plus and wii party but I got a new wii party. but I don’t want to have to get a new wii fit plus because all of my data is on there. My console plays all my discs except wii sport, my son is upset.